Cuban Refugees who have been lost at sea since December 24 have been rescued by a Norwegian cruise ship. TMZ reports on Thursday night a small boat full of Cubans was spotted adrift in the Western Caribbean. According to the site a passenger said there were 17 people on the makeshift raft and they had been lost since Christmas eve. One of the stranded Cubans was also pregnant. An Instagram user, a passenger onboard the Norwegian Getaway caught a small part of the rescue. She posts that there were 17 people on the small raft including 3 women with one of them being pregnant. 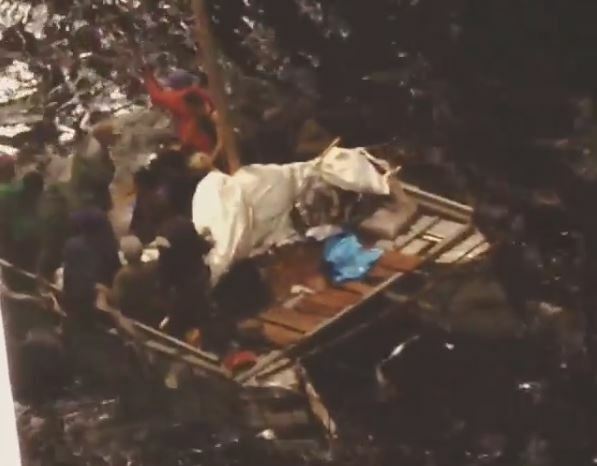 The ship involved in the rescue was the 145,650 gross ton Norwegian Getaway, the vessel was sailing 7-day western Caribbean cruise and was sailing towards Cozumel, Mexico when the small boat was spotted. It’s typical in these situations that those stranded at sea are provided medical attention, supplies, food and water. They were handed over to the Mexican authorities once the Norwegian Getaway arrived in Cozumel on Friday, January 15. Cruise hive has contacted NCL and will update readers once we get a response.